North Sydney is a suburb just north of the harbour bridge. 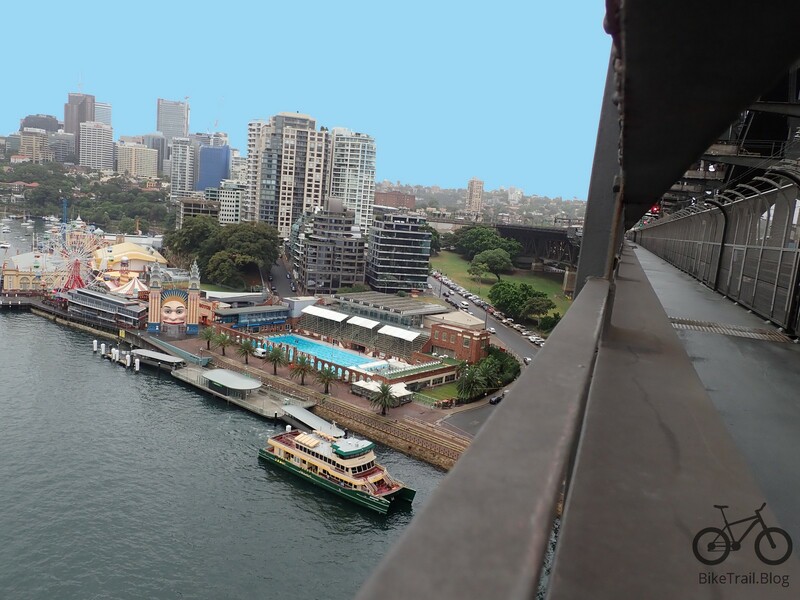 It consists of numerous high-rise buildings, the Pacific highway and is the outlet for the Harbour Bridge and the Tunnel traffic. It was never designed for bicycles and I have ridden through it and hated it. Recently Bike North, a advocacy group published a video of a newly opened cycle path that that started at St Leonards Park. It was time to go exploring. This is the best of the cycle paths around North Sydney. It starts at the corner of Ridge Rd and heads east across St Leonards Park, across the Gore Hill Freeway on a cycle bridge and down through Neutral Bay to Bennelong Rd. This is where the road bike trail to The Spit Bridge starts. Its 2.5km long and drops 30m. Here is the view from the start of the Epping Rd Cycle way to Long Gully Bridge and a picture of West St. Its four km to traverse this area and there is about 30m of climbing. And a rare photo of me in full cotton fake fluorescence. Finally a map of the trail that I rode to collect this information. I had to ride it again another day to make up my mind what I wanted to say.